When Mother First Taught Me to Pray. Copyright, 1892, by Willis Woodward & Co. There's a mem'ry that is living in my heart since childhood's days. And Rover, too, that dog we loved so well. But there is one impression that was left upon my heart. 'Tis the picture of a mother, and a boy kneels by her side. With folded hands she teaches him to pray. 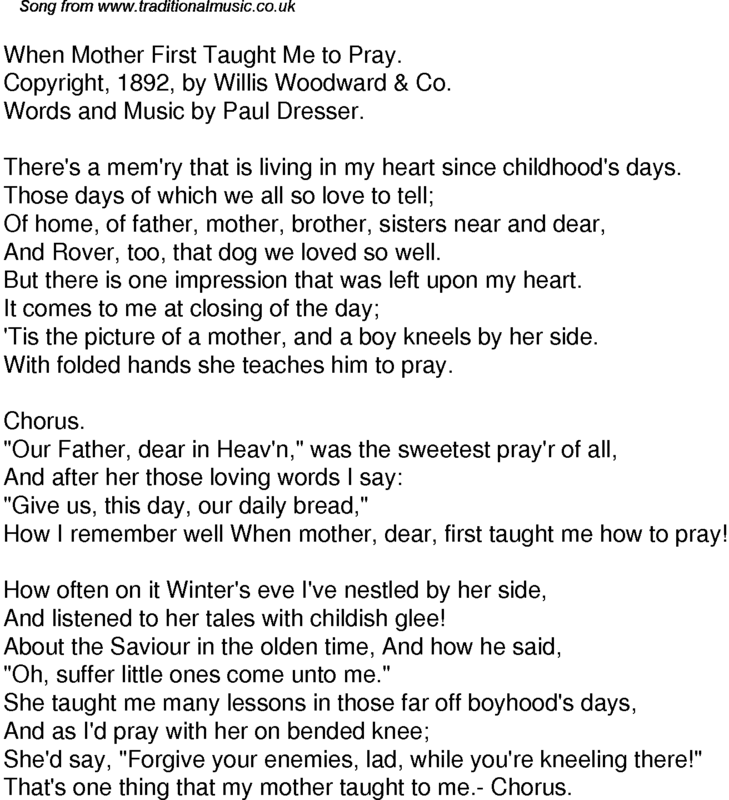 "Give us, this day, our daily bread,"
How I remember well When mother, dear, first taught me how to pray! And listened to her tales with childish glee! "Oh, suffer little ones come unto me." She'd say, "Forgive your enemies, lad, while you're kneeling there!" That's one thing that my mother taught to me.- Chorus.